The Document Foundation has announced their new LibreOffice 6.2 which features what they call NotebookBar. 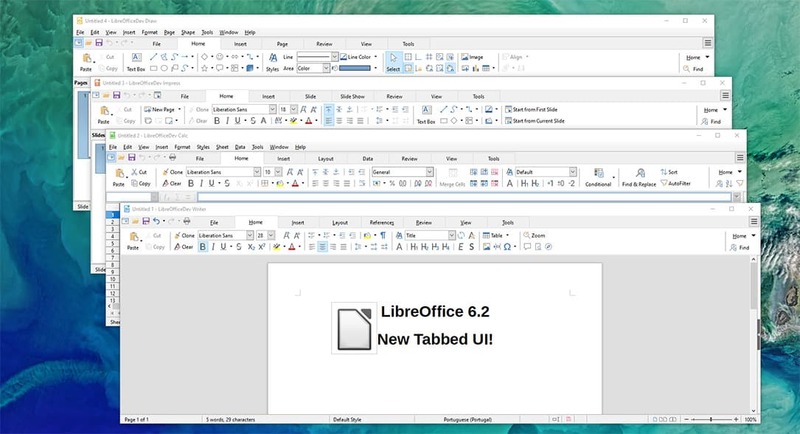 LibreOffice 6.2 is a major new release and features a new approach to the user interface. The new approach is based on the MUFFIN concept and it provides a bevy of user experience options while making best use of all screen sizes. 1. My: LibreOffice users want a “personal” UI, with different options capable of adapting to the user’s personal habits, and not a single UI without options. 2. User Friendly: of course, any UI should be as user friendly as possible, but LibreOffice users have clearly asked for a “modular” UI, where they can set their own level of user friendliness, and not a single UI without options. 3. Flexible: the increasing number of LibreOffice users deploying the software on different hardware platforms (for instance, a desktop and a laptop), each one with different characteristics and screen size and resolution, have asked for a UI that can be tweaked to leverage the screen real estate, and not a single UI without options. The NotebookBar is available in Tabbed, Grouped and Contextual flavors, each one with a different approach to the menu layout, and complements the traditional Toolbars and Sidebar. The Tabbed variant “aims to provide a familiar interface for users coming from proprietary office suites” and is supposed to be used primarily without the sidebar, while the Grouped one allows access to “first-level” functions with one click and “second-level” functions with a maximum of two clicks. 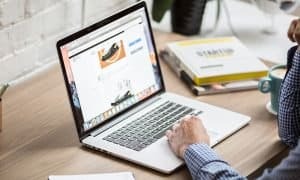 The Document Foundation also says that the design community has also made substantial changes and improvements to icon themes, in particular Elementary and Karasa Jaga. You can download LibreOffice 6.2 from the company’s website or just upgrade if you’re already a user. What do you think of LibreOffice 6.2? Let us know in the comments below or on Twitter, or Facebook. You can also comment on our MeWe page by joining the MeWe social network.